Walewale and Nalerigu, two major towns in the Northern Region, are vigorously contesting for the capital of the newly-created North-East Region. Currently, prominent leaders of both towns are lobbying to host the capital. The people of Walewale have indicated that the town links other regions like the Northern, Upper East and Upper West and can be ideal for meetings for the other regions. However, the Nayiri, Paramount Chief of Mamprugu Traditional Area and President of the Northern Regional House of Chiefs, Naa Bohagu Mahami Shirega, is on record to have called on government to select Nalerigu as the regional capital. “This is Mamprugu and every chief in Mamprugu has residence in Nalerigu, and so there’s no suitable place than Nalerigu,” he declared. Issifu Mashod, a member of the North East Committee for the West Mamprusi Municipal, told DAILY GUIDE that the North East regional capital should be sited in an area with offices and accommodation for Regional Coordinating Council, administrative offices, national banks and other institutions. 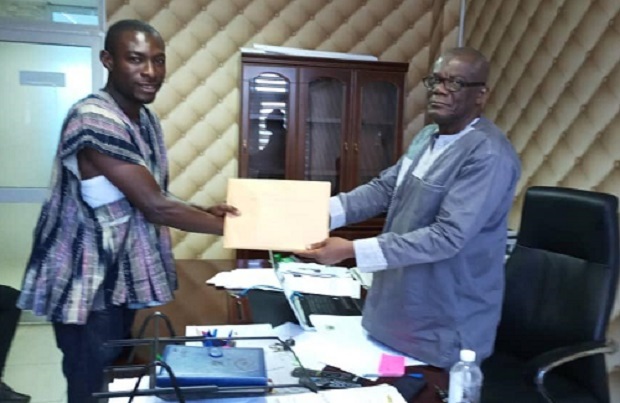 The Minister for Regional Reorganisation and Development, Dan Botwe, paid a courtesy call on the Paramount Chief of Mamprugu Traditional Area to officially invite him to the Jubilee House. President Akufo-Addo would on 12th February, 2019 give effect to the results of the referendum for the creation of the new regions at the Jubilee House in Accra.